Afterwards, one musician was overheard whispering to the other, impressed, "Well, this kid really knows his stuff!" The other replied, "I don't think he is so hot. 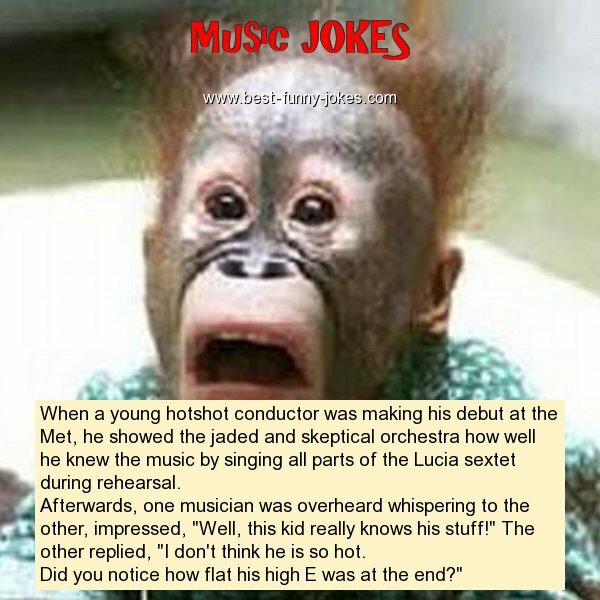 Did you notice how flat his high E was at the end?"